Genie Timeline Free is a time machine for Windows that performs real time and continuous data protection. 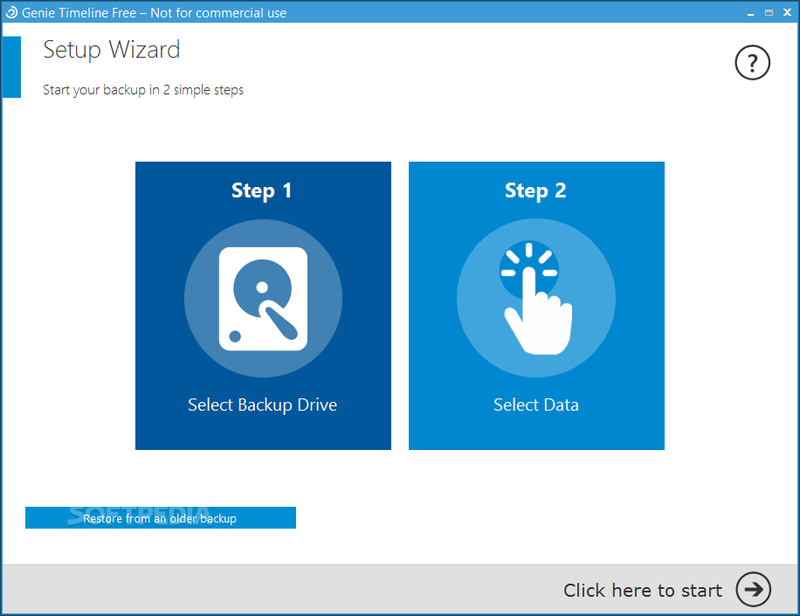 It can backup a wide variety of data types, such as System Files, emails, documents, music, pictures and practically anything else on your machine. Genie Timeline Free seamless backs up your data in the background, working as a parallel universe with computing history. Deleted & backed up files can be retrieved easily by a click of a button. With Genie Timeline Free you'll be able to keep all your files safe by creating backups on the go! NOTE: Free for non-commercial use. Backup and restore your data in a safe, secure and easiest way.